In this provocative book one of the most brilliant scholars of religion today dismantles distorted religious "histories" offered up by Christopher Hitchens, Richard Dawkins, and other contemporary critics of religion and advocates of atheism. 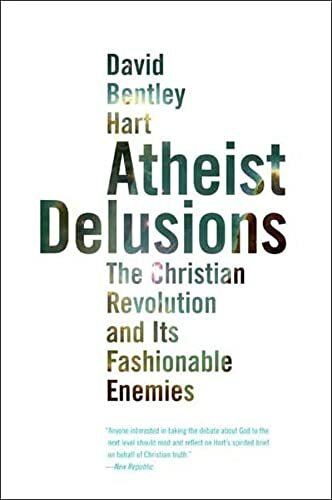 David Bentley Hart provides a bold correction of the New Atheists's misrepresentations of the Christian past, countering their polemics with a brilliant account of Christianity and its message of human charity as the most revolutionary movement in all of Western history. Hart outlines how Christianity transformed the ancient world in ways we may have forgotten: bringing liberation from fatalism, conferring great dignity on human beings, subverting the cruelest aspects of pagan society, and elevating charity above all virtues. He then argues that what we term the "Age of Reason" was in fact the beginning of the eclipse of reason's authority as a cultural value. Hart closes the book in the present, delineating the ominous consequences of the decline of Christendom in a culture that is built upon its moral and spiritual values.